Jabuticaba growing tree that grows also as shrub of the genus Plinia and also known as Jaboticaba or Brazilian grape tree. 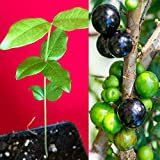 Jabuticaba perennial evergreen plant also used as ornamental plants sometimes as bonsai, can grow in tropic, mediterranean or subtropics climate and growing in hardiness zone 10b+. Leaves are oval between light to medium green when there is new growth the leaves are red. Flowers grow directly on the trunk the flowers white with notable stamens, flowers grow in small group’s 2-5 flowers. 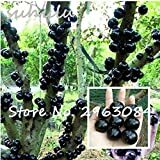 What can be done with big quantities of Jabuticaba fruits?